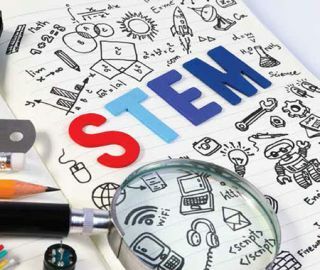 STEM and STEAM initiatives are similar in many ways to previous efforts to value and order what students should focus on in Pre-K–12 education. Educator preparation programs often give short shrift to the history of educational development in the US. (Maybe we need SHTEAM—but that would take me off topic). Many people today want to reform and restructure education to be more efficient and successful. Some reformers seem to want to start over; others resist any change. I challenge all educators to step back and review some of the fundamental documents of our profession. Starting with the true classical education of Rome, the most valuable subjects were referred to as the liberal arts, and by the ninth century they took the form of the Quadrivium and Trivium. Many educators remember the concept of the “tabula rasa,” which John Locke, one of the key writers who influenced Jefferson’s work on the Declaration of Independence, proposed. It’s important to understand that the Carnegie unit, which effectively gives schools the seat time requirements with which we often struggle, was developed in part to encourage universities to conform to a single nationwide credit system in 1902. The carrot for the Carnegie unit was the pension system currently known as TIAA-CREF. Probably one of the key documents for K–12 education is the NEA’s Committee of Ten report from 1893. It’s often credited with giving us the alphabetic arrangement of high-school science courses—biology, chemistry, and physics. In fact, that more accurately came from the 1920 Committee on Reorganization of Science in Secondary Schools. About the same time, a second NEA Committee, the Commission on the Reorganization of Secondary Education, produced a report that significantly downplayed the aspirational nature of the Committee of Ten report from 1893. This was in part due to the theory that most “new students” entering the expanding ranks of high-school students were more suited to vocational pursuits and needed more civilizing influences, since many were recent immigrants. As we navigate through the obstacles of current reform, it might make sense to become familiar with what our predecessors thought about these same issues. The Committee of Ten did give American high schools the algebra—geometry—algebra sequence still found in most high schools today. Einstein stated that “theoretical physics outgrew Newton’s framework, which had for two centuries provided fixity and intellectual guidance for science.” Is it time for educators to step back and review many of the fundamental principles used to establish and maintain education today? Steven Baule is superintendent at Muncie (IN) Community Schools.